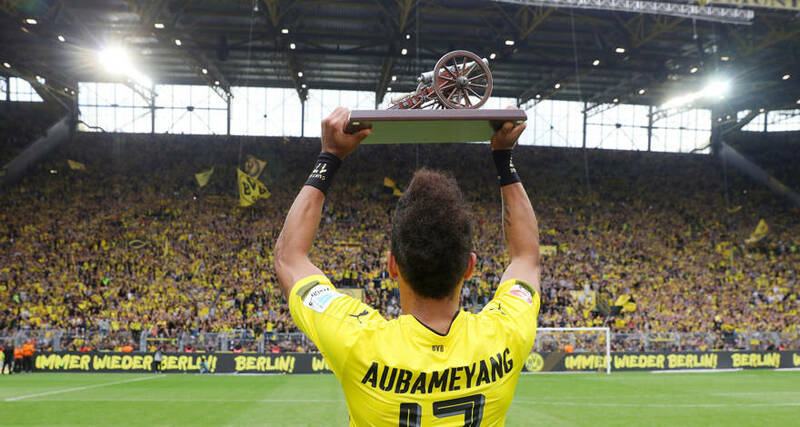 Pierre-Emerick Aubameyang of German first division side Borussia Dortmund has won the “kicker Cannon” after scoring his 30th and 31st goals of the season against Bremen on Saturday. The 27-year-old Gabon forward is the fifth Borussian player to win the award for the top goal scorer of the Bundesliga. And he becomes the second African to clinch the prestigeous title after ex-Ghana international Tony Yeboah, who won it twice while playing for Eintracht Frankfurt in 1992/1993 and 1993/1994 seasons. 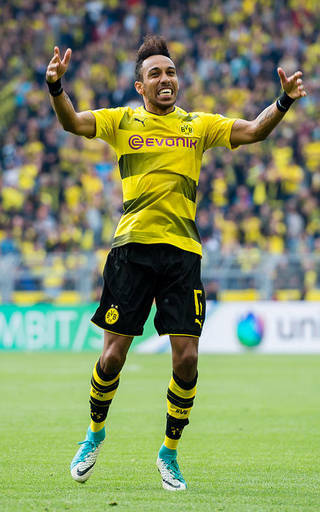 With 31 goals this season, Aubameyang has not only picked up the top-scorer canon for the first time in the Bundesliga, but the Gabonese captain has also ended the 51-year-old Borussia record set by Lothar Emmerich. Moreover, he also helped Dortmund to clinch a Champions League spot come next season. The German title was won by league giants, Bayern Munich, whose striker, Polish international Robert Lewandowski, was also in the race for top goal scorer going into the last day of the season. Aubameyang scored twice in his side’s 4 – 3 win over Werder Bremen on Saturday. Fortunately for him, Lewandowski did not score on the last day in his side’s 4 – 1 victory over Freiburg. 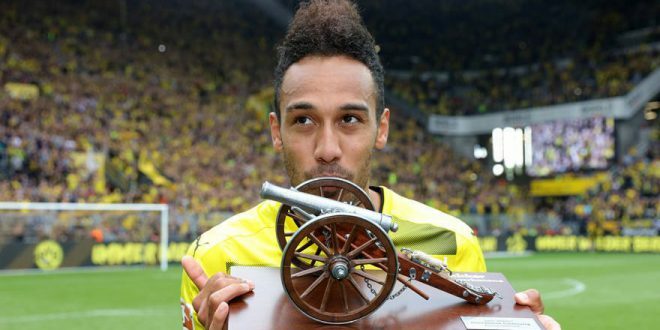 It is the second time that he has beaten Lewandowski to an award; in June 2016, the Gabonese was voted player of last season by the players union, beating former Dortmund player Lewandowski to second place. Aubameyang was African footballer of the year in 2015. There has been an outpouring of congrats for Aubameyang particularly on social media platform Twitter. The French-born Gabon international, Ghana’s Yeboah and Nigeria’s Jonathan Akpoborie will go down as the most prolific African goal scorers in the German first division. These African players generated immense enthusiasm, self-confidence and pride throughout Africa as well as in Germany. They will continue to inspire coming generations of African players to seek their fortunes in the Bundesliga. Aubameyang made his Bundesliga debut for Borussia Dortmund on 10 August 2013 and scored a hat-trick against FC Augsburg, including a goal from his first shot in the league. He also became the first Gabonese player to appear in the Bundesliga. In the midst of all jubilation over his most recent feat, rumours continue to deepen around Aubameyang’s future in the Bundesliga with speculations linking him with a move away from Germany. But these speculations are not new. To forestall the Gabon international being poached by another club, Dortmund gave him a five-year contract extension in July 2015. The club has also raised the price tag of Aubameyang, insisting they want to keep him at Westfalenstadion at all costs. “Every part of me wants to be here and I have never wanted to leave,” he said in 2015, indicating that he feels comfortable in the country and will continue to enrich the Bundesliga with his skills and talent for many years to come.